Story line:Six girls are on the way for an adventure travel, they came to a bottomless cave, however, in their entry into the hole in soon after the collapse of the sudden outbreak blocked the entrance of the cave, and make them cut off from the outside world of contact. In the boundless and unknown darkness, they began to look for life, but soon, they realize that, in the thousands years’ ancient cave, they are not the only creatures. The Descent is a pulse-pounding and scary movies focusing on despair space with a larger metaphor about the dark side of human nature. It can be regarded as the most scary movie in 2005. In the whole movie, fast simply rhythm, good music sound and nausea and bloody scenes will continually stimulate your nerve. It’s definitely a good movie worth to put on microphones and enjoy at night slowly. The new technology provides us more convenience to appreciate and enjoy this great movie. Many mobile devices such as iPad, Nokia Lumia 900, Samsung Galaxy S2, iPhone, etc. are great mobile DVD player. With the help of a the magical DVD converter, you can easily enjoy this good DVD movie without time and place limit. How to convert The Descent for playing on iPad/iPhone/Xbox360? 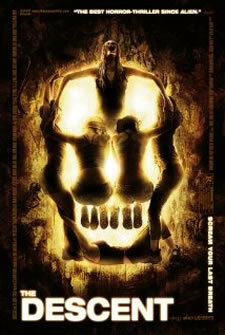 Convert The Descent to mobile devices to watch would be a more exciting experience. Just a few steps, Any DVD Cloner Platinum can provide you a more special movie travel! Step 1: Choose DVD Ripping mode and Open DVD. More than 10 popular portable devices such as Samsung Galaxy Note, Samsung Galaxy S2, ipad, Apple TV, etc are listed for users to select, you can freely choose one as your like. You can also keep the default setting. Output folder in "Target" , which is used to save the output video file You can use windows default document folder. Or, select DVD Folder from the drop-down list of the Target option, and browse a folder to save the converted movie. Audio: Here you can choose audio language for output video. The available options depend on original DVD. Subpicture: Here you can choose subpicture for output video. The available options depend on original DVD. Output Format: M4V, MP4 and MKV output formats are available. Please note you need to select right output format for your device supported.